Barbados' West Coast, which faces the Caribbean, is host to most typical beach holiday travelers with it's calm water, sandy beaches and high-end hotels and villas. It's known as the "Gold" or "Platinum" Coast as most of the accommodations cater to the very wealthy. Nonetheless, all the beaches in Barbados are open to the public, there are no private beaches on the island. 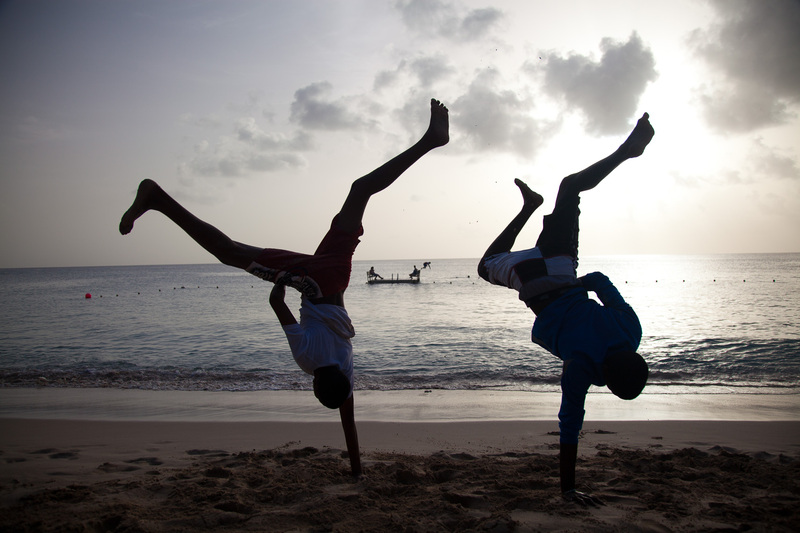 Local boys practice handstands while they wait for their friends to get off work.